Do business with the people in the business. Jukes Entertainment is an agency with over 30 years experience! 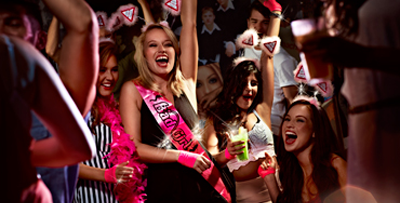 JUKES STAG SHOWS GENTS EVENINGS, HEN SHOWS & LADIES NIGHTS! We are proud to be probably the biggest suppliers of Gentlemen’s Evenings / Stag Shows to sports clubs, pubs & social clubs in the UK today. Using only the most stunningly beautiful YOUNG ladies & hilarious comedians, Jukes Entertainments Gentlemen’s Evenings are legendary! Please take your time & look at the various entertainment we can supply you with. As well as our legendary Gentlemen’s Evenings & Stag Shows, Jukes Entertainments offers a massive variety of quality entertainment for your club, pub or organisation. You will find all of this via the menu above! Jukes Entertainments was founded by Geoff Jukes in 1981. Geoff has always believed that the main objective of an agency is the provide quality entertainment at affordable prices & in current financial circumstances this has become even more important! So regardless of the type of event you are looking for, whether its a Gentlemen’s Evening, Sports Dinner, Ladies Night, Tribute show, Stag Show, Cabaret Show, Comedy Night, Race Night or any other kind of event, you can rest assured that Jukes Entertainments will strive to provide you with a standard of entertainment our peers envy, at a price they just can’t match! Jukes Entertainments, the biggest supplier of Gentlemen’s Evenings & Stag Shows in the UK today (probably). We operate throughout the UK and perform in most major cities includung, London, Leeds, Liverpool, Manchester, Birmingham, Sheffield, Bradford and Bristol. Please contact us to see our availability in your area. Jukes Entertainments are the biggest supplier of Gentlemen’s Evenings in the UK today! Simply because our girls are young, fit, stunning & only available through us! Our prices are superb & include tickets & posters! Simply click on any of these pictures to take you to our Gentlemen’s Evening Page! Girls, you are in for a treat when you book one of our “Ladies Nights”! At Jukes not only are our prices superb & include tickets & posters, we only use the very best Drag Queens & the hunkiest male strippers to give you a night you will dream about forever! 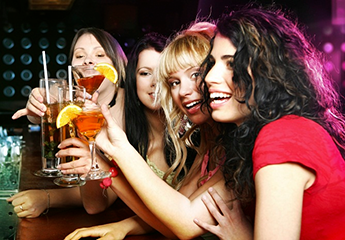 Click on any of the pictures to take you to our “Ladies Nights” page!